Win your way to Byron Bay for the ultimate Australia Day party! 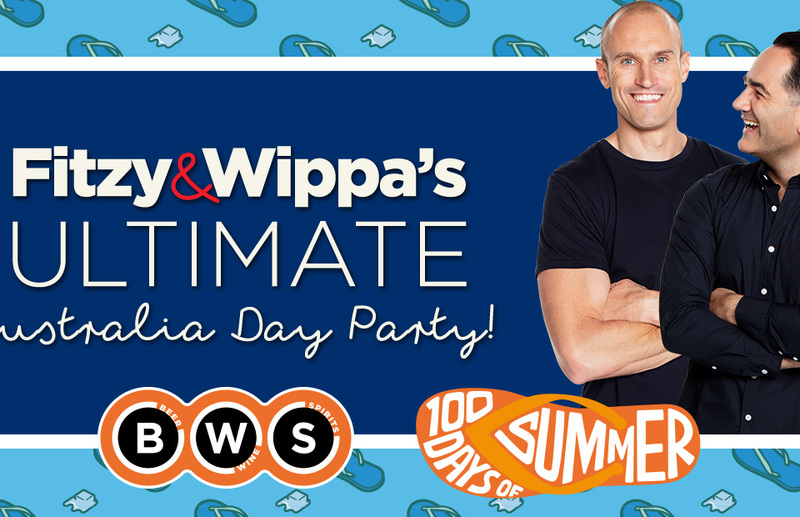 To start off 2019 in the best way possible Fitzy & Wippa are giving you the chance to win the ultimate Australia Day Party all thanks to BWS! Food, drinks, music and a great bunch of friends – what more could you want?! Just be Fitzy & Wippa’s Last Aussie Standing! Brush up on your trivia (especially your Australian trivia); And make sure that phone doesn’t leave your side because we could be calling YOU back to play! The last one in control when the 60 seconds is up will play again the next day as our carry over champ! On the Friday – the last one in control will be deemed the winner and they had better pack their bags because they’re off to Byron Bay for the best Australia Day party ever! !